Trees …… the mystical magic of trees. Beauty, Strength, Wisdom, Eternal Life …. These are but a few symbolic meanings of different trees. 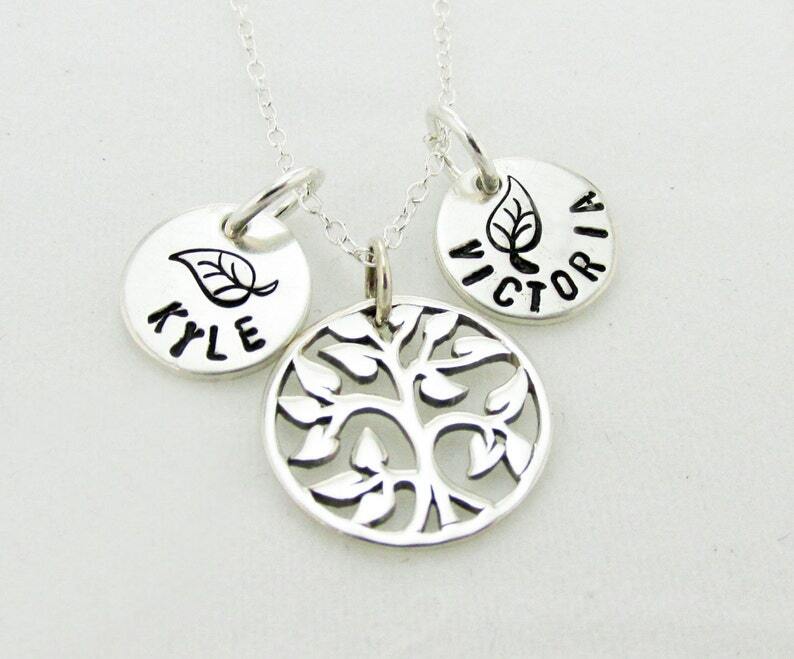 In the case of this sterling silver pendant the symbolic meaning is for family which is made obvious with the small hand stamped disks with your children's names that accompany it. Include one for each of your family members for a complete family tree necklace. This would make a wonderful gift for your loved one, for your next family reunion, or for your favorite aunt or grandmother. Or, perhaps buy one for yourself and include a charm for each of your children or grandchildren.